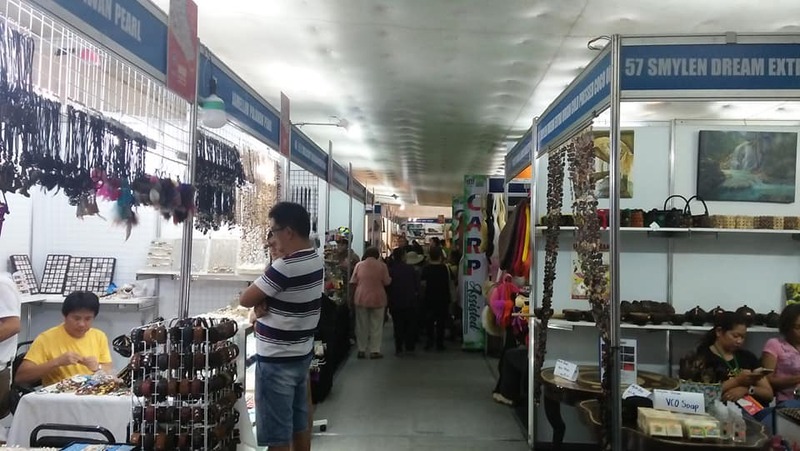 The Sandugo Trade Expo at The Block of the Island City Mall hit an unprecedented sales of P22.6 million halfway through the six-day trade fair. Department of Trade and Industry Regional Director Aster Caberte told the Chronicle that the figure excluded the sales generated on Saturday and Sunday when shoppers were expected to be on its heaviest since it opened last Wednesday. “This is a record-breaking sales,” the DTI director said citing the overwhelming number of exhibitors which is the biggest during the past 13 years. The trade expo drew 190 exhibitors, which is beyond the expected 120. The additional 70 exhibitors were from the various parts of the country. Dubbed “The Best of the Islands,” the Sandugo Trade Fair sells souvenir items, decorations, fashion accessories and several top-of-the-line processed goods. Caberte said the over flowing of exhibitors is due to the massive implementation of the “Kapatid Mentor Me” program, OTOP Philippines, “shared service facility” program and the “CARP -support program” of the DTI. The opening of trade expo last Wednesday was graced by DTI Assistant Secretaries Zenaida Maglaya, Blesila Lantoya and Demphna Du-Naga. Gov. Edgar Chatto and Mayor Baba Yap led local officials during the opening. This is the 13th time that DTI is sponsoring the event which is one of the important activities during the monthlong Sandugo Festival.